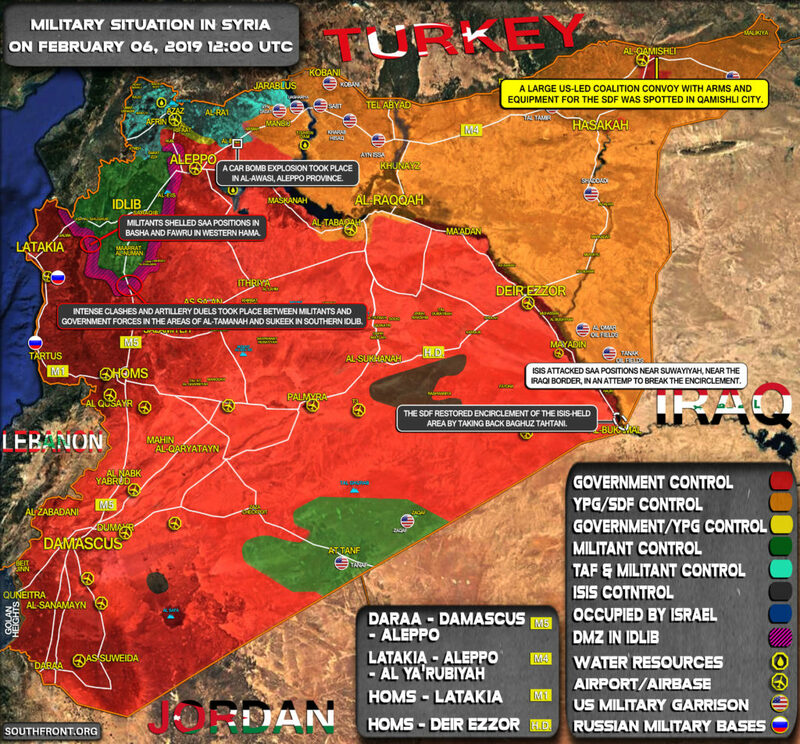 Military Situation In Syria On February 6, 2019 (Map Update) 6.3333333333333 out of 5 based on 3 ratings. 3 user reviews. A large US-led coalition convoy with arms and equipment for the SDF was spotted in Qamishli city. No more messing around, first take communication with the SDF to move back and then bomb that little place in the South East to smithereens. Either start the full attack on Idlib or give them the keys to the Presidential palace; enough of this nonsense. Clear the black blob, West of the Euphrates. Take back the East of the river and bomb the US camps if required, or better still let the PMU loose. Eliminate all Turks that have no scuttled home. 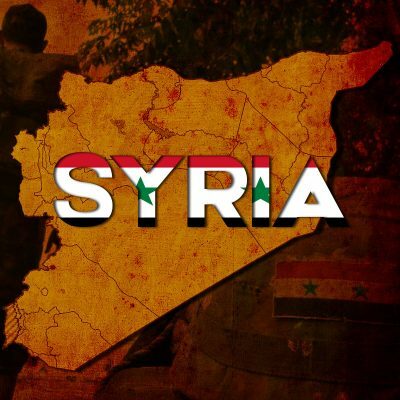 No SDF/YPG in southern Idlib. The SAA might be slow-rolling up the M5 and can justify the moves into the safe zone because head-choppers (Tahrir_Al_Sham?) never really left. I expect the SAA wants the fleeing head-choppers to move west for now and into Turkey, rather than north alongside Aleppo into Afrin. Not sure HTS or TAF would even let them through Daraat Izza, so the western escape route (at least for now) is their best alternative. In the mean time, NLF in Idlib is disintegrating and small groups have been scurrying away through that same Daraat Izza route. They are apparently uninterested in Aleppo and allowed through Daraat Izza by HTS/TAF into Afrin/TAFistan. Both head-chopper migrations out of Idlib continues to weakens it and must be starting to discourage the HTS there. The SAA is wise not to rush into Idlib to finish things off if discouraged head-choppers are leaving (slowly) to become a problem for Turkey. This won’t make Idlib ‘easy’ for the SAA by any means, but the fewer head-choppers shooting back at you, the better.